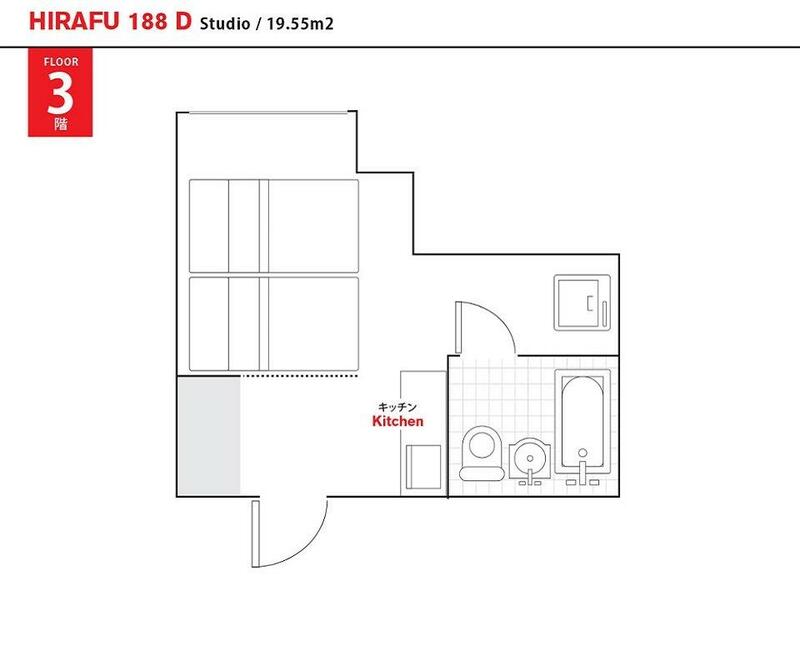 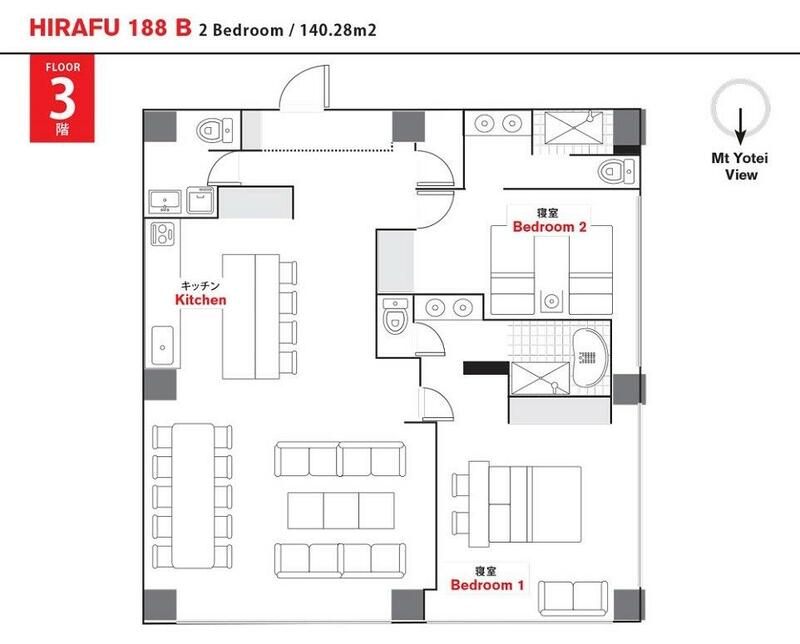 Hirafu 188's 3 bedroom + Maid, 4 bathroom premium Niseko penthouses offer a different level of luxury. 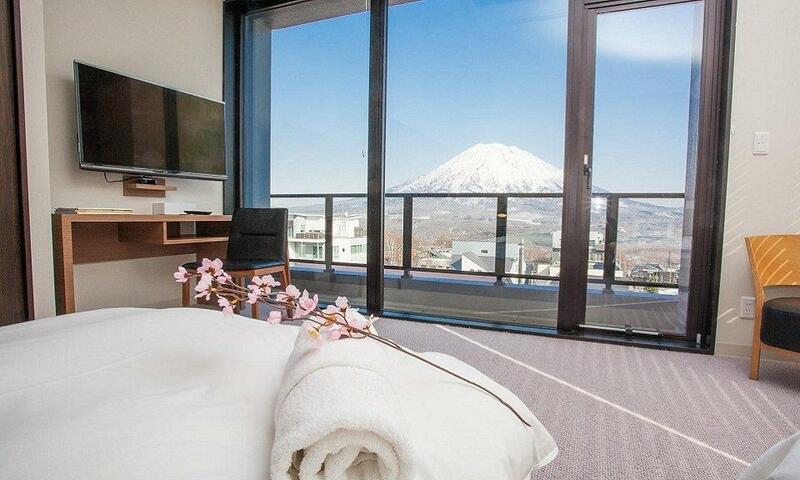 Located on the 4th floor of this high-end Upper Hirafu complex, experience the best views, the most space, the highest quality furnishings and the ultimate exclusivity at Niseko's Hirafu 188 Apartments. 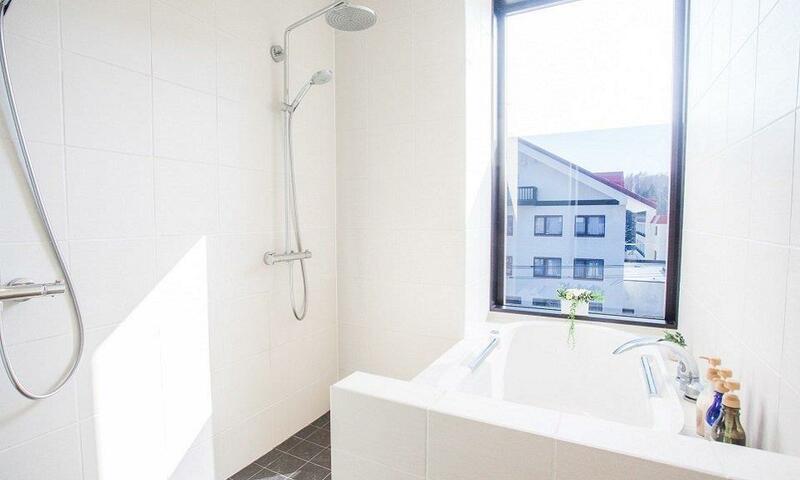 An exclusive accommodation in the heart of Niseko Hirafu Village, with onsite convenience store and a variety of retail outlets, Hirafu 188 penthouses offer a level of luxury that surpasses expectations. 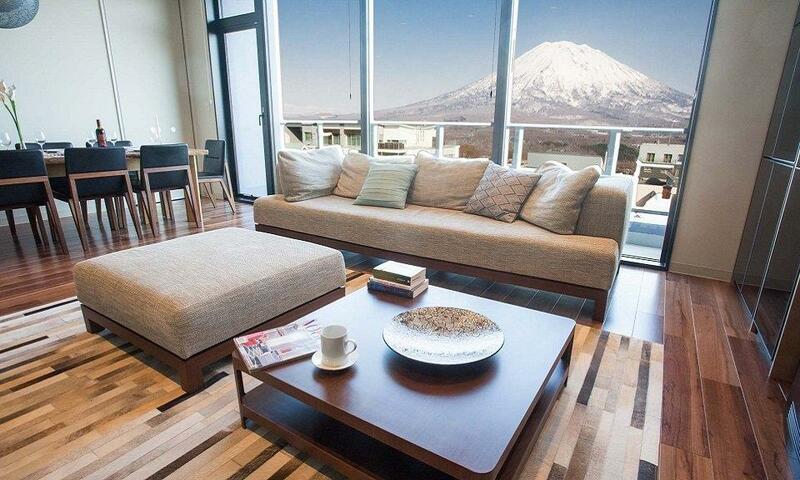 Located entirely on the 3rd floor of the Hirafu 188 complex, feel on top of the world in the heart of Niseko Hirafu Village. 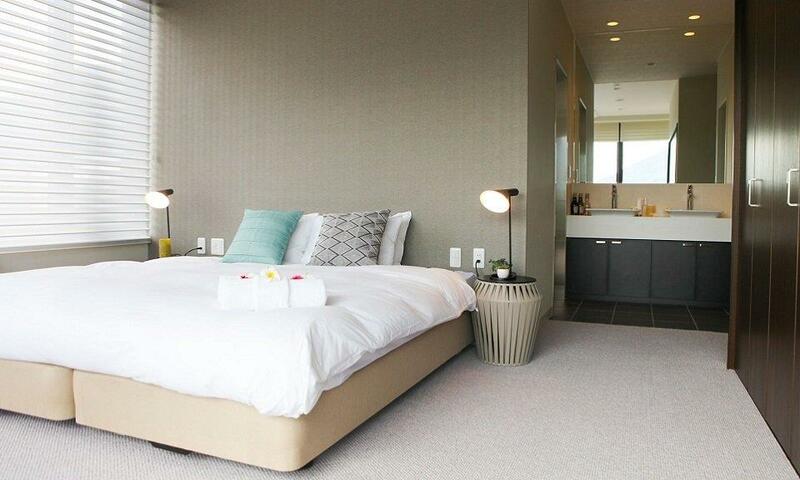 With breathtaking views from all apartments, these superbly appointed 3 bedroom+Maid, 4 bathroom Penthouses are truly something special. 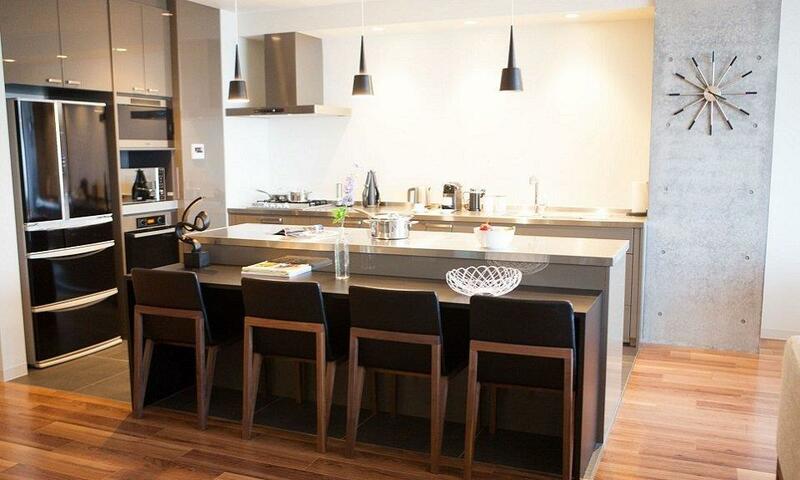 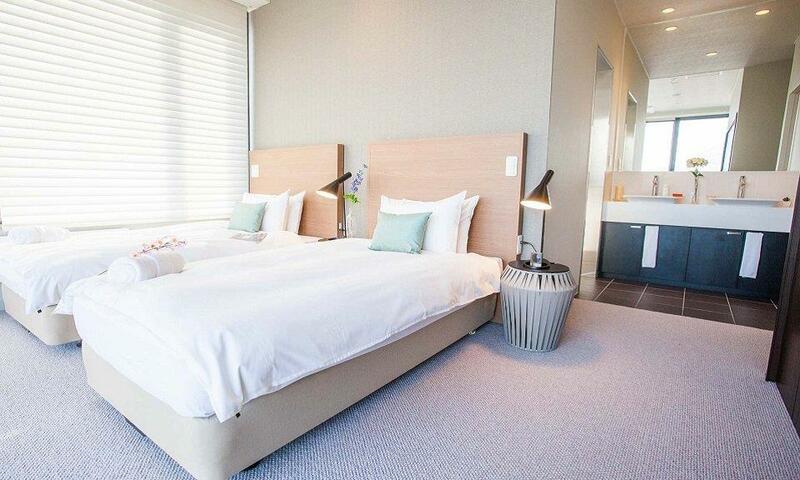 Be pampered in luxurious living and enjoy the exclusivity and onsite services. 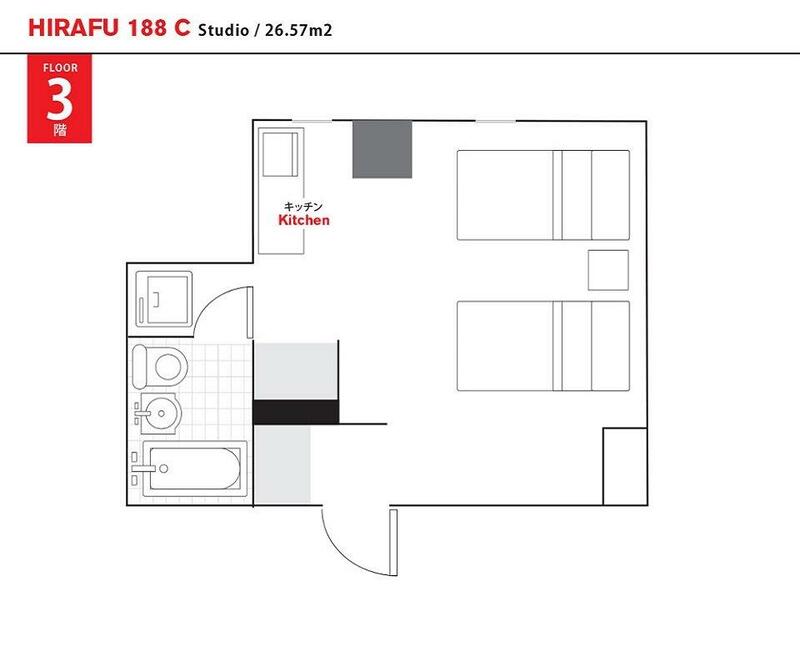 Hirafu 188 Apartments' elegant furnishings, premium fixtures, state of the art facilities, expansive floor to ceiling windows and private balconies presenting magnificent vistas will not fail to impress. 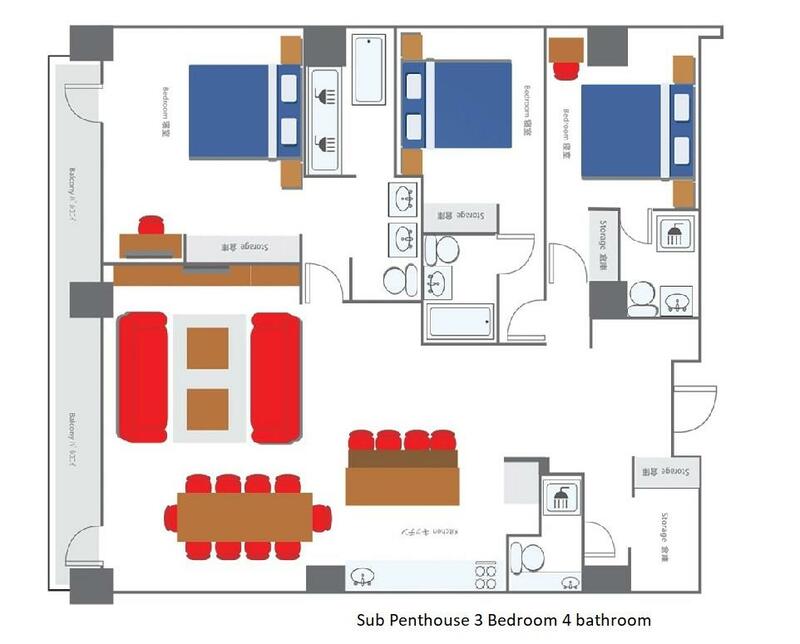 Personal concierge and daily transport to and from the chairlifts, enhance Hirafu 188 Apartments' guests experience. 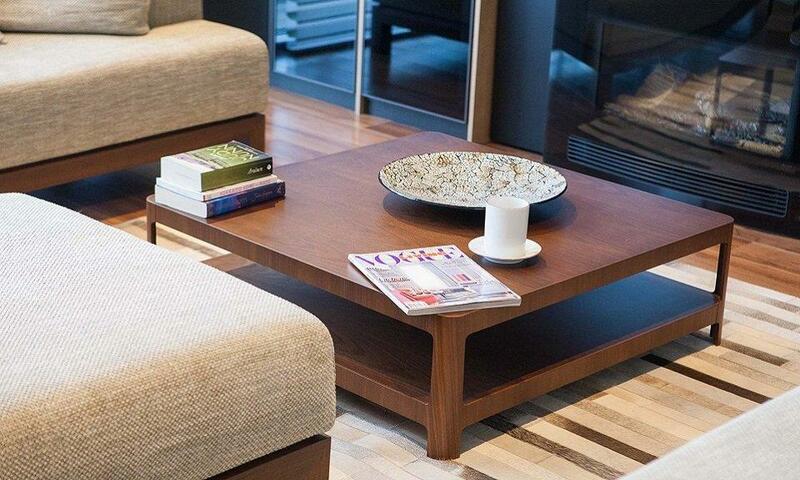 The Hirafu 188 building also incorporates staffed reception to ensure your time in Niseko is enjoyed both on the slopes and off, relaxing in this truly unique property. 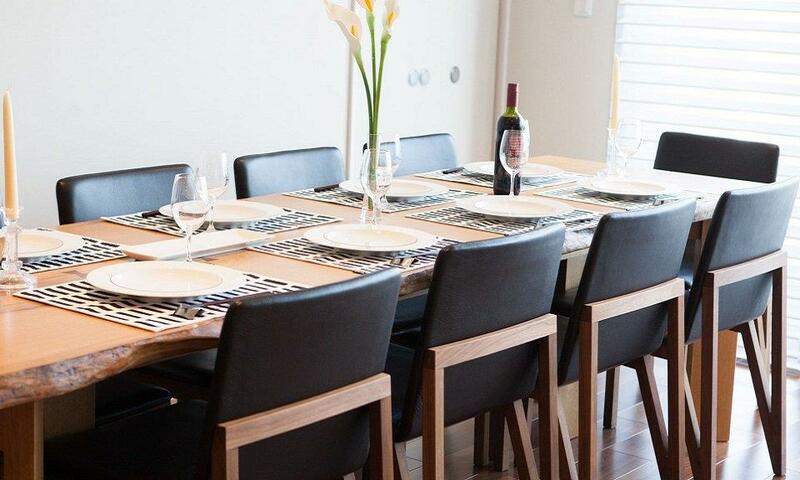 Hirafu 188 Apartments are ideally located on the main street in Niseko Upper Hirafu Village. 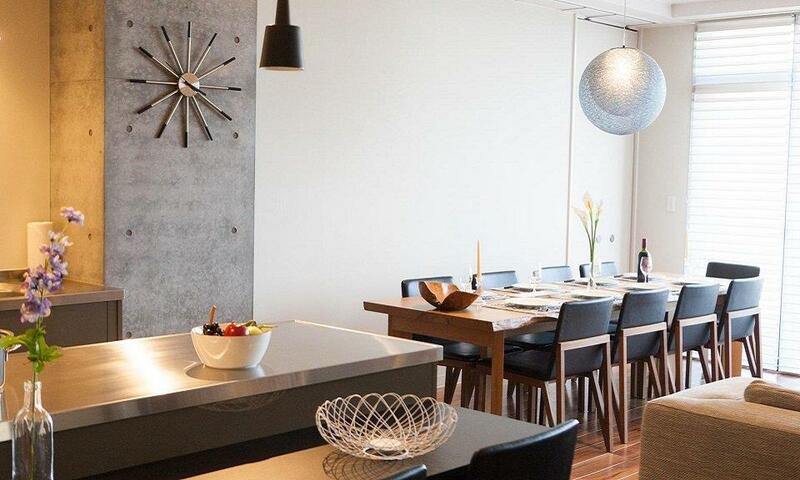 Many of Niseko's best restaurants are just moments away from this central location, and Hirafu 188 Apartments' guests enjoy rare proximity to Niseko's Ace Quad Centre Four Lift. 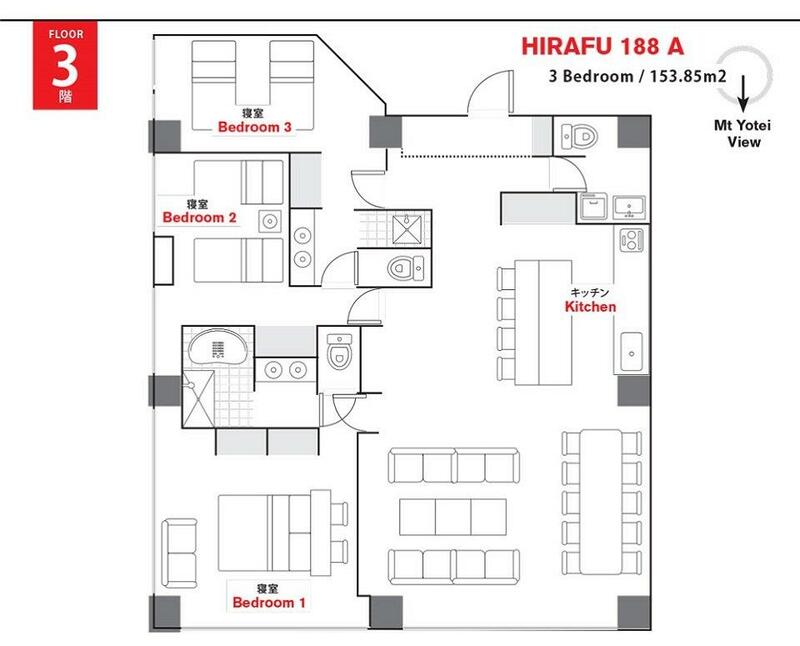 There is currently no discount available for Hirafu 188.